Sugar is added to most packaged foods, and beverages. If you want to avoid being overweight, then you have to pay attention to the amount of sugar in your food. When you get into the habit of reading food labels, you’re going to discover that sugar is difficult to avoid. “Sugar Shockers,” an article from WebMD, discusses food high in sugar. 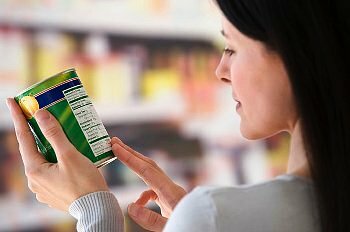 Learning how to read food labels, will teach you which brands are packed with sweeteners. Not all mustard contains added sugar. The same goes for tomato sauce. If you’re a vegetarian, sweeteners such as honey, or barley malt syrup, might be added to non-meat packaged foods. You can count on added sugar in mayonnaise, frozen pizza, canned chile, and veggie burgers. The solution, is to replace packaged food, with fresh food. Posted on August 20, 2012, in Food, Overweight and Obesity and tagged Convenience food, Overeating, reading food labels, Sugar addiction, Sugar avoidance. Bookmark the permalink. 3 Comments. Your post is really good and informative. I’m surprised that your post has not gotten good quality, genuine comments. You have done a great job by posting this article. Thanks!!! Thank you. You have gained a new fan. These posts are very useful to me. Really nice article, and great post.